I saw my first opera last night and as it sinks in I think that it was a great experience. I had told my parents a long time ago that I would love to go see Rigoletto. My parents, being avid Operagoers, offered us tickets from their series and I quickly jumped at the chance. Since every woman loves the movie Pretty Woman, including Kerry, she wanted to go too. Rigoletto is the one opera that I had familiarized myself with years ago, in hopes of getting to see one. I don’t quite recall why I became interested in the Opera but I think it has something to do with my Edith Wharton / Henry James phase and all of the opera scenes and references that were made throughout their writings. However, even I liked the scene in Pretty Woman where Vivian experience Verdi’s La Traviata. I now understand the inference of that play in that movie since “La Traviata” literally translates into “The Woman Who Strayed” which seems appropriate given Vivian’s career choice. Apparently, Operas often deal with issues of lustful behavior and its consequences all of the time. I am only just learning this and perhaps I’ll find out that this is an untold secret about Opera patrons that I never knew. No wonder Rigoletto was so pissed. Mom and Dad left that one out. If given the chance to go, Kerry and I would definitely do it again but I don’t think we’ll be asking each other for series tickets next Christmas. Next we’re going to hit Broadway. One of my favorite artists of all time is John Gorka. Ironically, John grew up only a short distance from me “on the corner of Inman and New Dover” here in NJ yet it was my sister Susan living in Maine who heard John on the radio up there and turned me on to him. 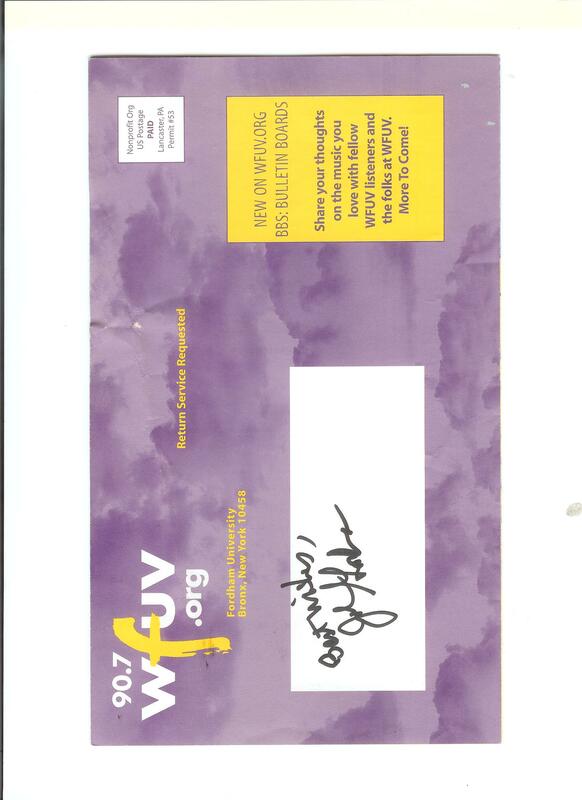 Through John, I came to know of Lucy Kaplansky who is also one of my favorites. The first time that I recall seeing John play was on May 7th 1994 at the East Windsor Township Recreation Department near Princeton. The last time I saw John play was only days before 9/11. I was working for Deloitte & Touché out of their Parsippany New Jersey office but spending lots of time in New York at their World Financial Center Location. 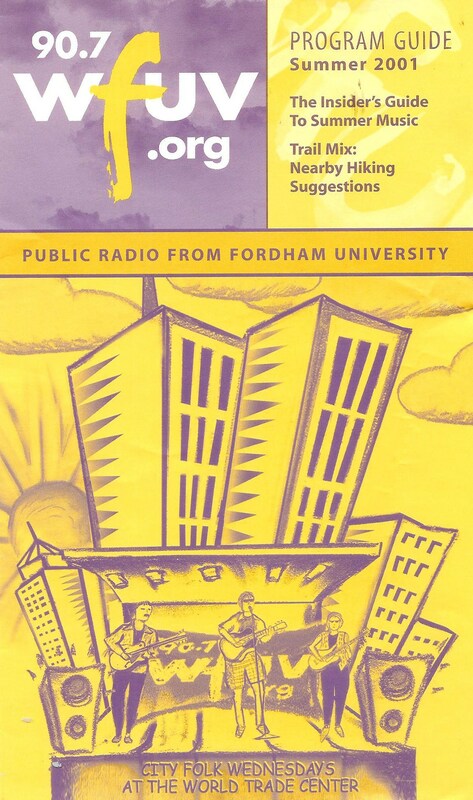 Fordham University Radio (WFUV) was holding a Folk Music concert series between the Towers Wednesday nights during the summer and John was on the schedule for August 29th. Of course I found a reason to be in New York that day! The week before 9/11 I was in New York 3 or 4 days and always took the Path in from Newark and rarely made it to the office until 9:15 or so ascending the enormous bank of escalators directly into the lobby of the Trade Center. I didn’t have to go in that ill-fated week. From a little movie called Garden State. The Less You Make The More You’re To Blame!